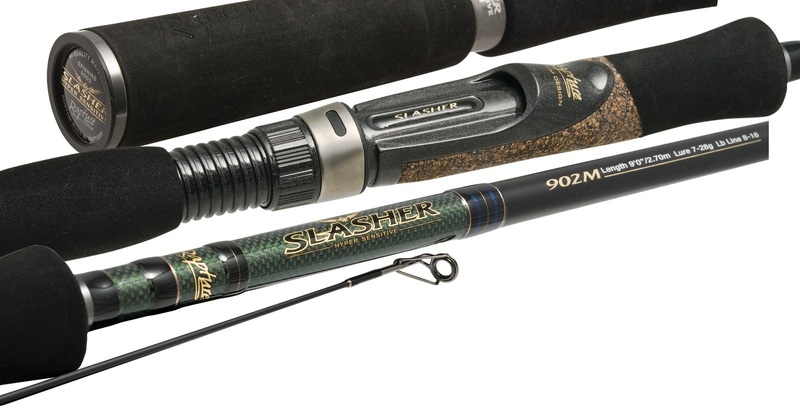 Slasher, as the name itself says, a rod specially designed for long casting. there is no doubt about its long casting skills. During line retrieve and in the final moment of a fight it will give you that extra power you need to win the battle, changing its action from progressive to tip. The Slasher is made of super high modulus CX-1 carbon finished with differentiated stratifications by element, in order to obtain that difficult alchemy that is a fast tip action rod still able to easily cast at great distance. SiC guides, salt water resistant, are carefully arranged on the blank to minimize friction during casting.